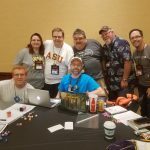 GenCon and the state of things – FASA Games, Inc.
Hello friends and fans! 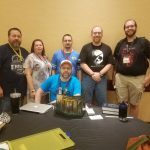 I’m back and (mostly) recovered from the saga that is GenCon. It’s a massive event, with an attendance larger than my home city! About 60,000 gamers descend on downtown Indianapolis for four days of games, seminars, and shopping. 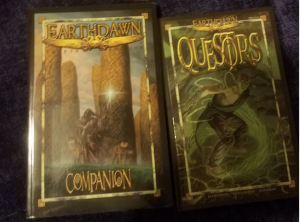 Every year, I like to write a custom Earthdawn adventure that I run for fans old and new. If I ever find the time I plan to write up my notes from those adventures a little more formally, but for now they exist as a handful of encounter notes. 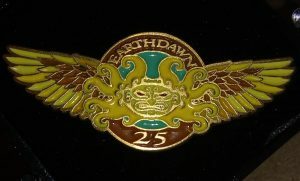 This year was the 25th anniversary of Earthdawn‘s original release at GenCon 1993. I decided, as a special feature, to write a special anniversary adventure hearkening back to the adventure in the original promotional flyer (commonly known as “Kaer Tardim”). Rather than my typical 4-hour one shot, this was going to be two parts, making a single 8-hour story broken into two parts (though each part stood on its own). The games went well. 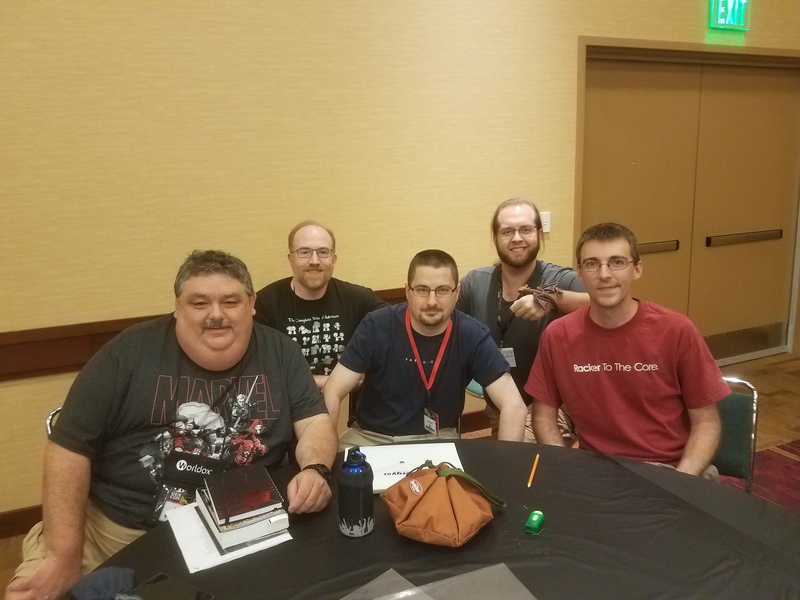 Several of the people sitting down with me were familiar faces, folks I’ve played with at past GenCons and know online. 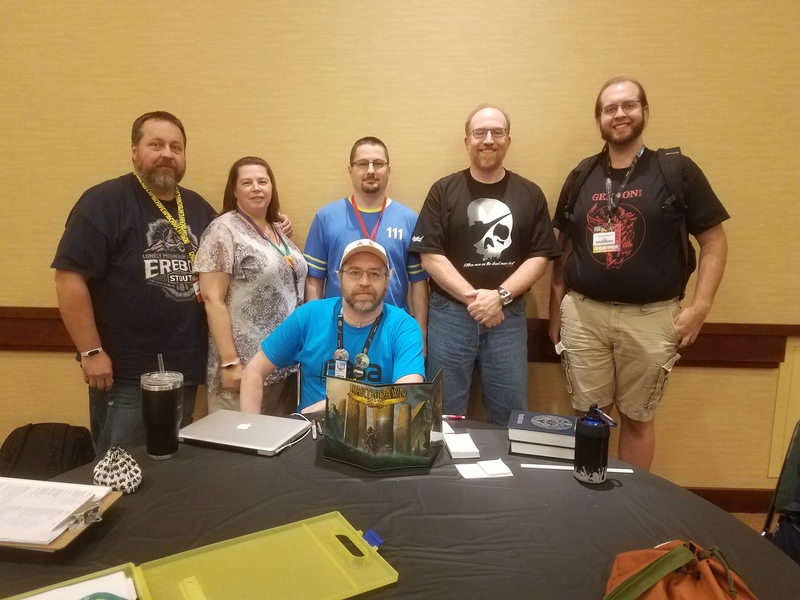 Others were new, but they’re part of the fold now (mwa-ha-ha-haaa!). In the end, they recovered Farliss’s Dagger and defeated the Horror R’Ishann. This year the adventure prep was a bit daunting. I finished the first part before I left for Indianapolis, but only had the second part about halfway done. It was outlined, I knew what was going to happen, but I needed to come up with some additional details. 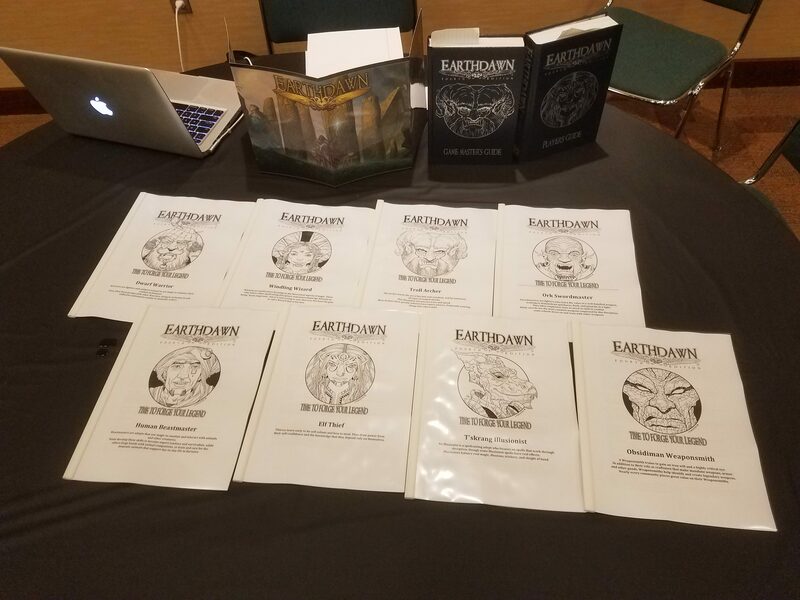 In the end, I fell back on my experience as an Earthdawn GM of twenty-*cough* years: grabbing stat blocks that would work, reskinning them, and improvising the rest. I’m going to have the full adventure available at some point in the not too distant future. It’s more formally written than my scenarios from past years, as this was one I knew would make for a good release. But there are other things to talk about first. 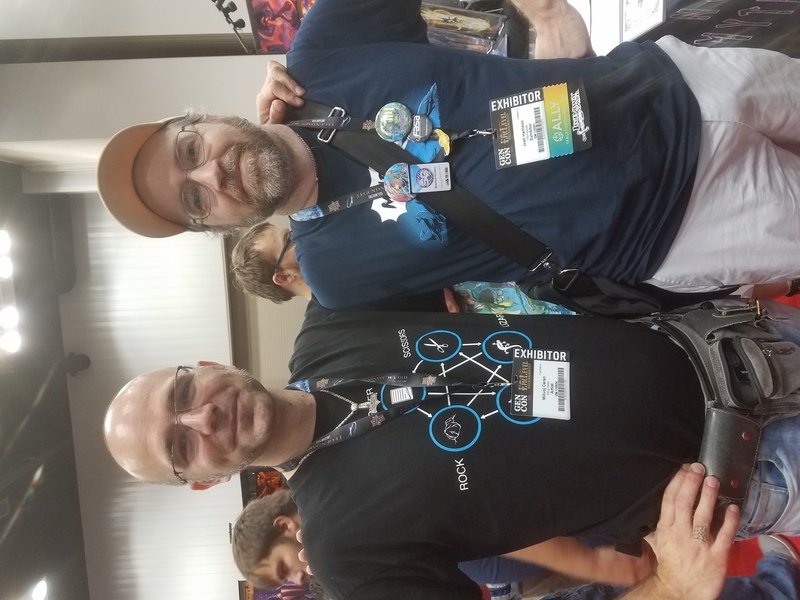 Cover artist Milivoj Ceran was at the show, and I got a chance to meet him and thank him for his work. 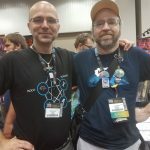 He’s responsible for the triptych that makes up the art on the core books (Player’s Guide, Gamemaster’s Guide, and Companion), as well as the cover for Travar and the upcoming Elven Nations. 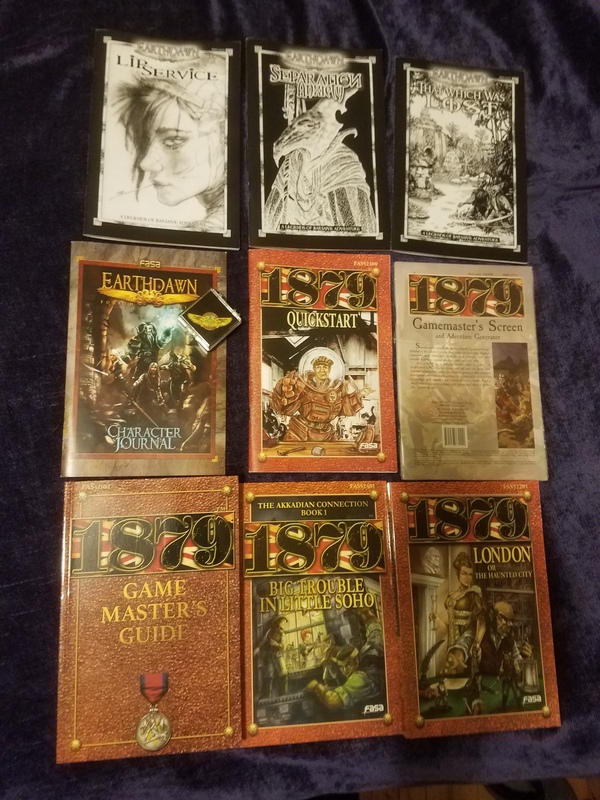 We also had a whole bunch of product available, both for Earthdawn and its sister game 1879. If you haven’t checked it out, there’s a free quick-start guide (similar to the one we did for Earthdawn). 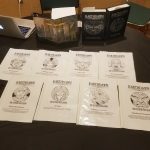 In addition to the Companion and Questors books (of which we had a few early copies delivered from our printer), we had print versions of chapters 2, 3, and 4 of the Legends of Barsaive campaign arc, the new Character Journal, a 32-page expanded character sheet. To wrap up, here’s where we stand. 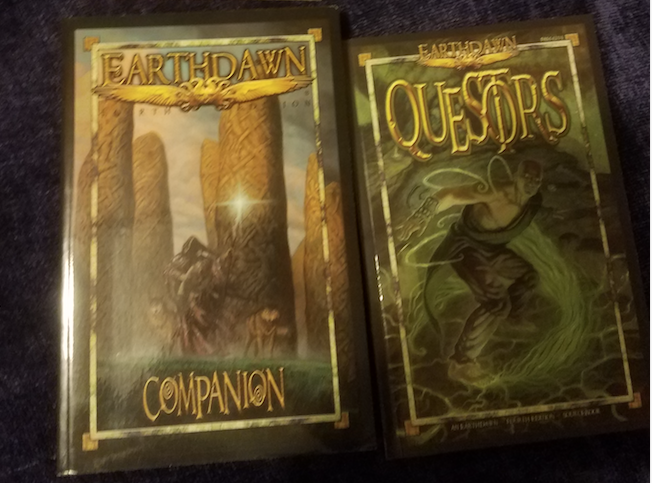 The print run of the Companion and Questors will be finishing up and the books delivered to our distributor later this month. The only book left to deliver from the original Kickstarter is Elven Nations, which is my primary focus. The draft chapters are delivered, and I’m going to be going through those over the next several days, trying to get that book done and moving through the production process. We have more books in development. I’m not going to talk about all of them, but there are a couple we know for sure are planned for the next several months. Iopos is planned as the first book after Elven Nations. This one will focus on the eponymous city and its masters, the powerful and enigmatic Denairastas clan. This book is being written by Allan Farr, who also wrote Travar. Mystic Paths is the working title for the “Disciplines” book being written primarily by system guru Morgan Weeks. 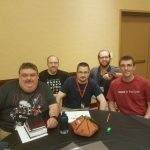 It will provide updated fourth edition versions of several classic Disciplines (with new approaches on some of them), as well as some new material as well. The Arcane book doesn’t even have a working title yet, but will provide more game material with a magical slant. Planned for this book are new and updated spells (including higher Circle spells), more knacks, updated rules for familiars and Named spells, and probably some other stuff as well. This is in addition to more chapters in the Legends of Barsaive campaign, of course. We’ve got some plans to explore lands beyond Barsaive, as well as explorations of areas in Barsaive that haven’t received much attention in the past. A couple of final words. 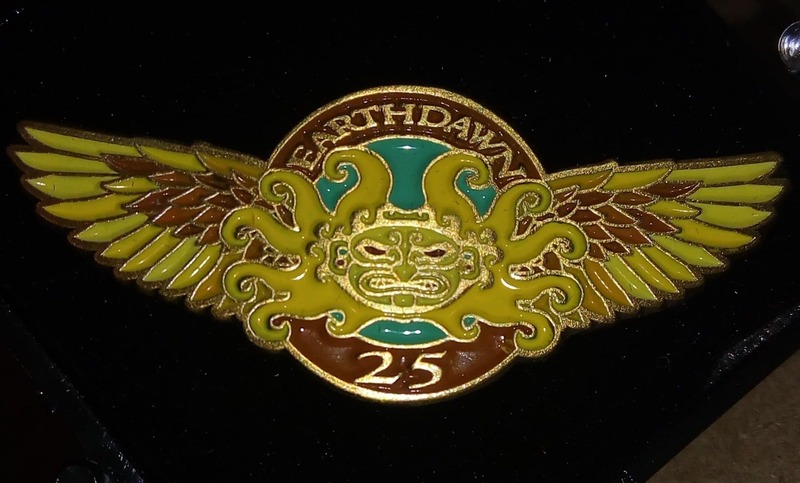 There has been interest in the 25th Anniversary pins we made for GenCon this year. We have plans for them, and they will be available for people who weren’t able to make it to the show… but the details will wait for a later time. Also, make sure to follow us on various social media. 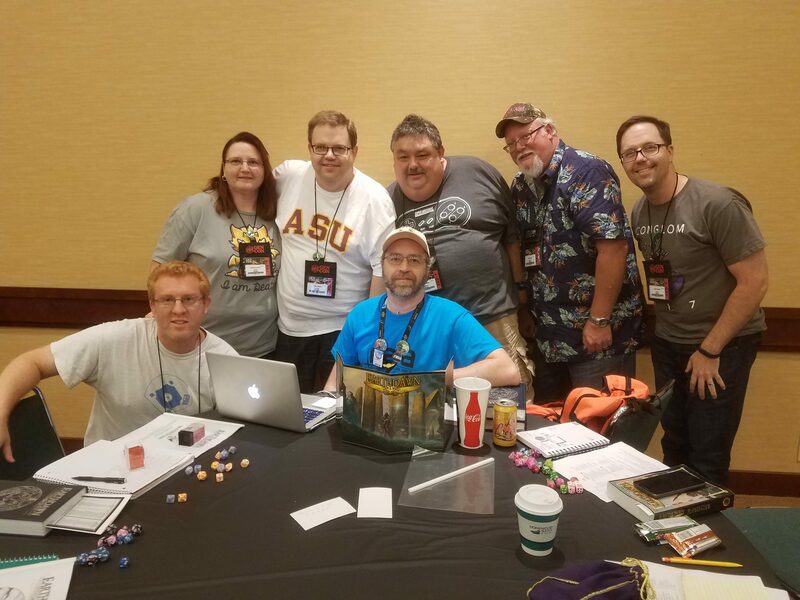 FASA Games on Facebook and Twitter, along with our Discord server. My own personal Facebook and Twitter are worth following as well if you don’t already. That does it for this week. I’ve rambled long enough, and I have drafts to read. Spread the legend, and thank you all for your continued support!